You take a lot of pride in your business to make sure the 1st Impression with your customers is a good one. A well maintained property is more welcoming and helps to put your customers in good buying mood. 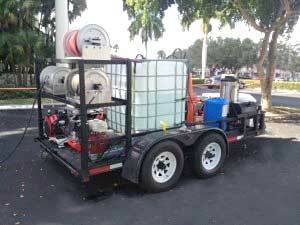 How you know if you need Commercial Power Washing? Is there gum, grease or other unsightly substances on the sidewalks, curbs or entrances to your business? Is the exterior of your building dirty or covered with mold? Do you have graffiti on your buildings that needs to be removed? Then you need to give 1st Impressions a call today. Our Commercial Power Washing services can fix the above problems plus many more! Sometimes it takes real power to keep your property looking clean and welcoming. Our Commercial Power Washing services can professionally and efficiently remove mold, dirt, and graffiti from your sidewalks, pavement, awnings and building exteriors. 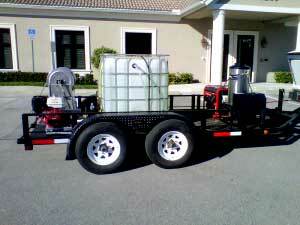 1st Impressions uses state-of-the-art commercial power washing / pressure cleaning equipment. Our commitment to Superior Service ensures that your exterior remains clean and welcoming.